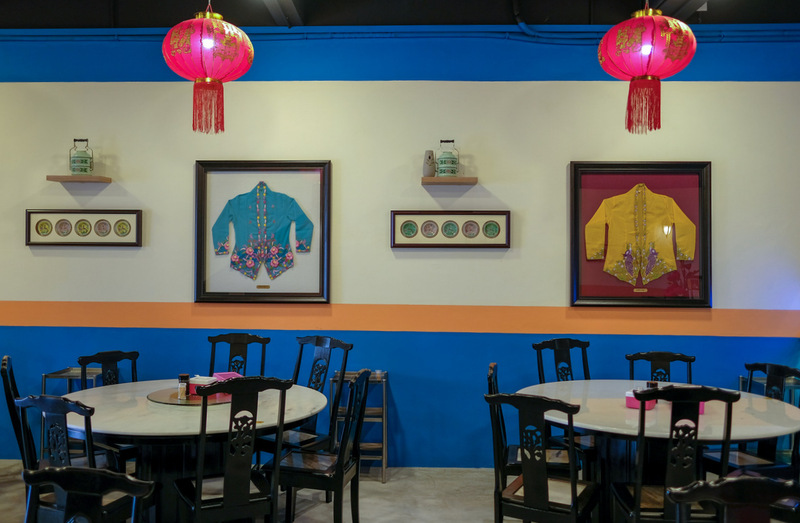 Seeking to bring the feel and the flavours of Jonker Street to the Klang Valley, this new restaurant's Nyonya founder Lily Tan and her team offer plenty of Malaccan-inspired crowd-pleasers. 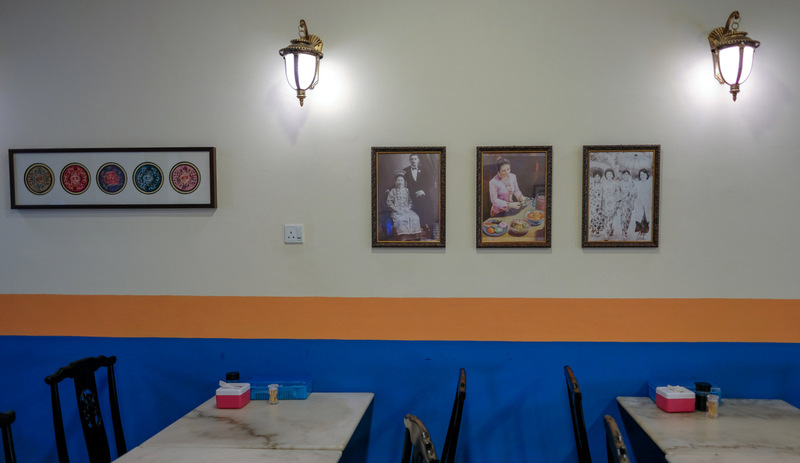 It's one of the few places in KL and Selangor where you'll find both chicken and pork versions of pongteh on the menu, reasonable-tasting enough if you need to fix that fierce hankering for pongteh. 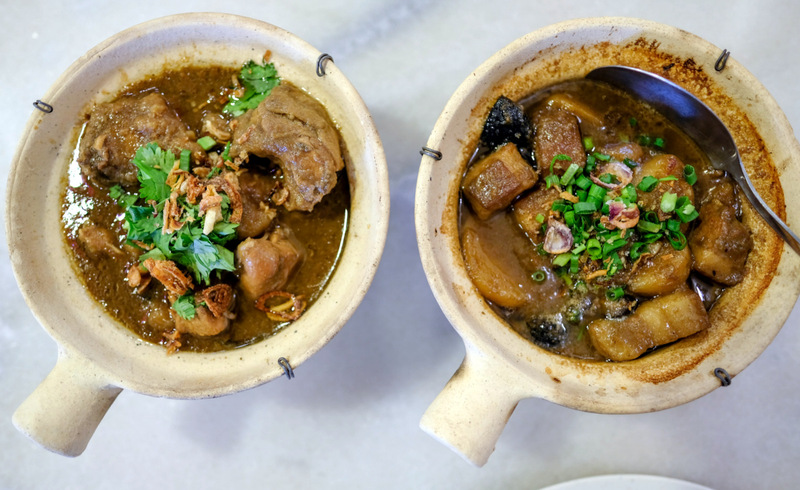 The smallest serving costs RM18, with each claypot generously loaded with chunky meat, potatoes and mushrooms - our preference is for the hong bak braised pork interpretation, fleshy and fatty. 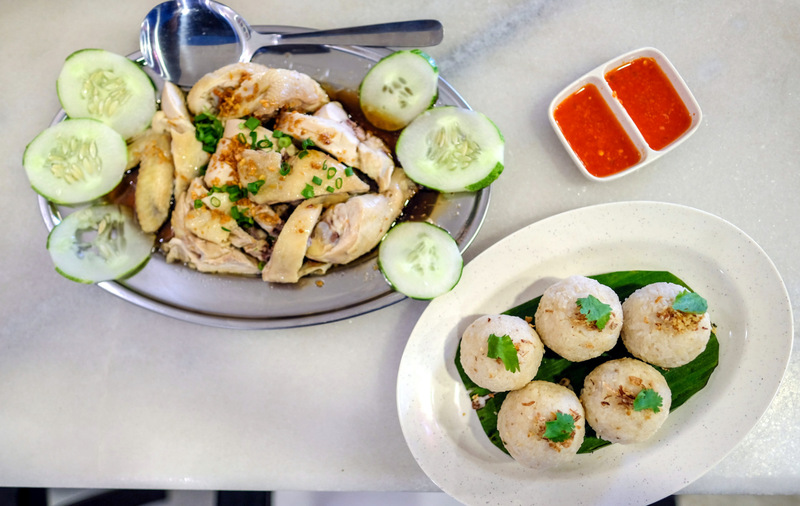 The kitchen also dishes out Malacca's well-known novelty of chicken rice balls (RM28 for half a bird with five big rice balls). It's a solid portion, though the rice could be fine-tuned for more satisfying fragrance and richness. 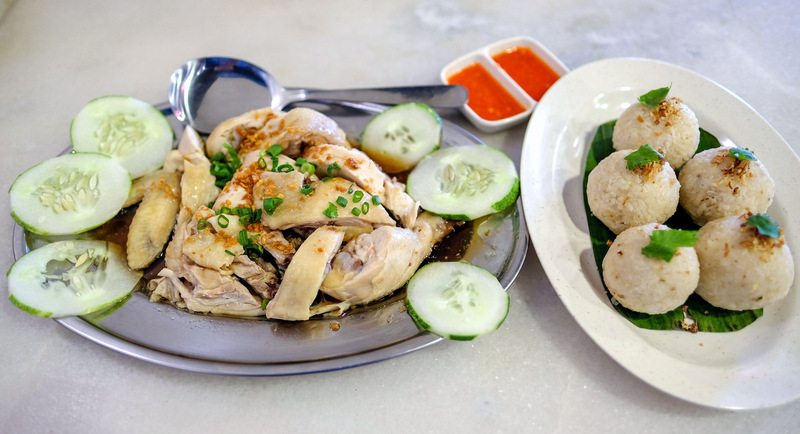 Speaking of novelties, the D24 Chicken might not be traditionally Nyonya, but it could potentially fit into a contemporary Peranakan cookbook, with each slice of crispy chicken coated in a thick, mellow durian paste (RM50). 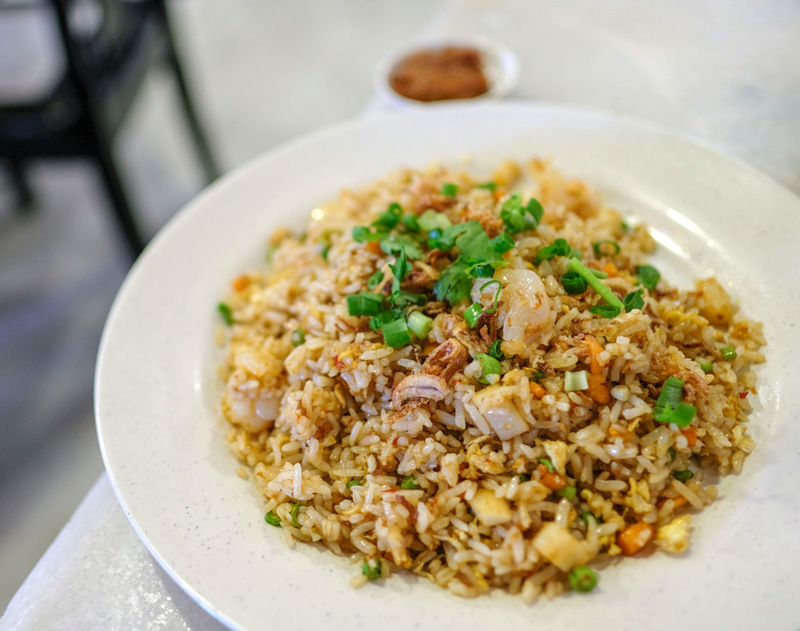 Have it perhaps with some starch - the herb-spiked Nyonya fried rice with prawns hits the spot for a lunchtime indulgence (RM12). 5-1, Jalan Equine 10c, Taman Equine, Seri Kembangan, Kuala Lumpur, Malaysia. I thought it looked like durian...and I was right when I read your description of D24 chicken. What? 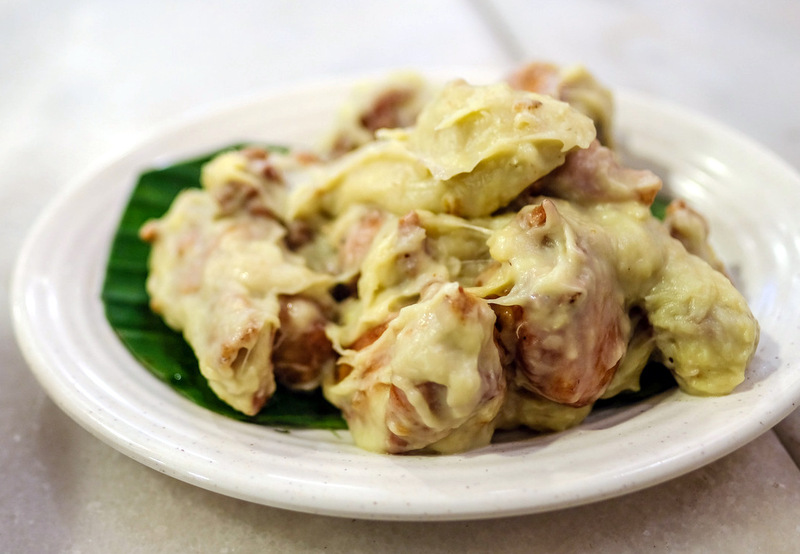 Chicken cooked with durian! O_o I once bought a pre-packed yet-to-be-cooked patin tempoyak (where all you need is to dump everything in and cook) not knowing that tempoyak was actually fermented durian...omg! (I thought it was gulai from the colour of the paste). Suffice to say I had to give that away...and learnt my lesson to stay clear of anything tempoyak from then onwards. What a coincidence. A friend invited me to have Nyonya lunch today at Damansara Kim. 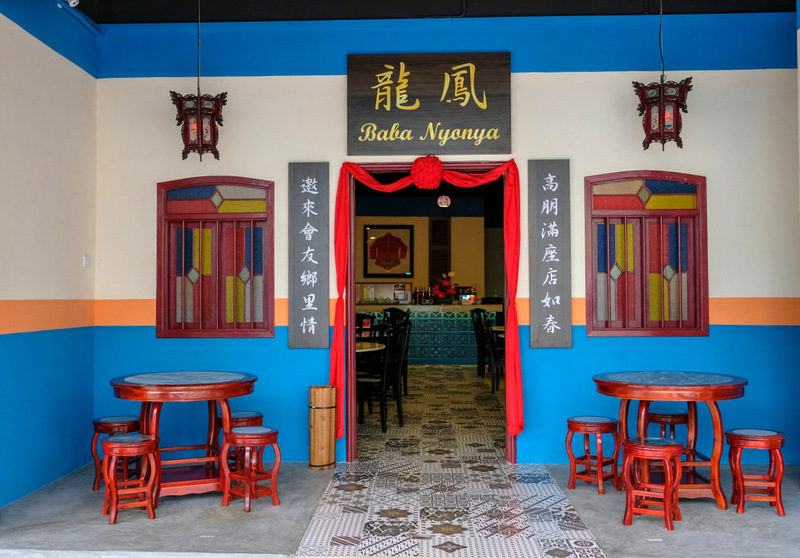 The food was good but it does not have the striking Peranakan Baba Nyonya ambiance like your lovely photos. 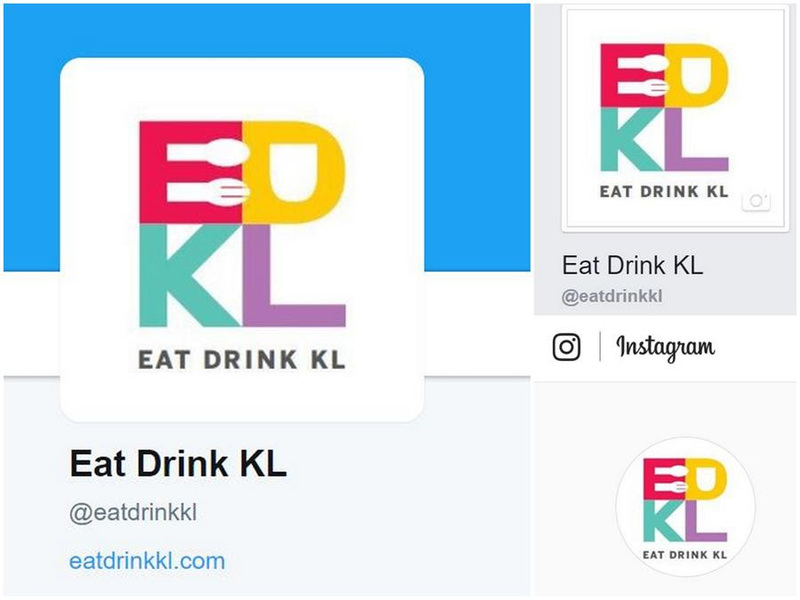 Fried chicken coated with durian? I am trying to conjure the taste in my mind right now! 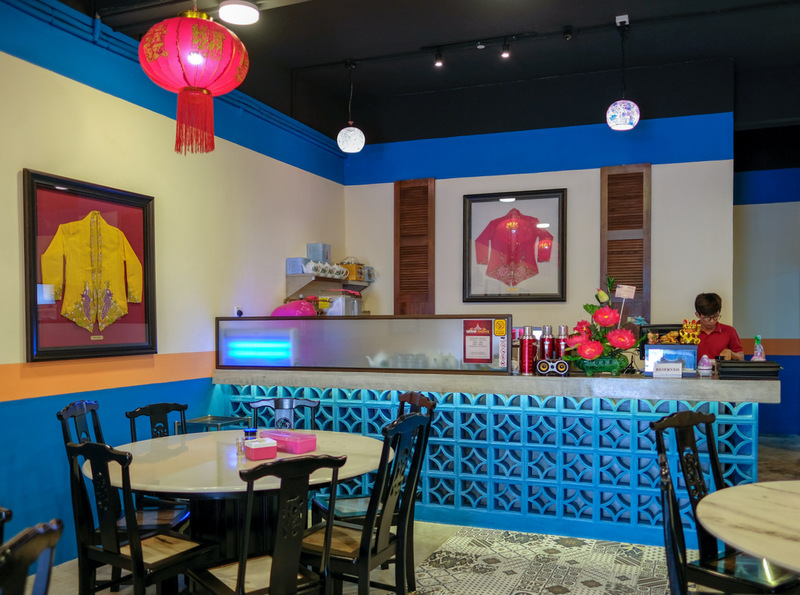 Love the place, very traditionally peranakan. Food looks pretty good. Durian? I cook chicken or pork with tempoyak, tastes so good! The rice balls are a bit mushy and I'm afraid I would not enjoy them. The durian + chicken combination, no thank you, haha! 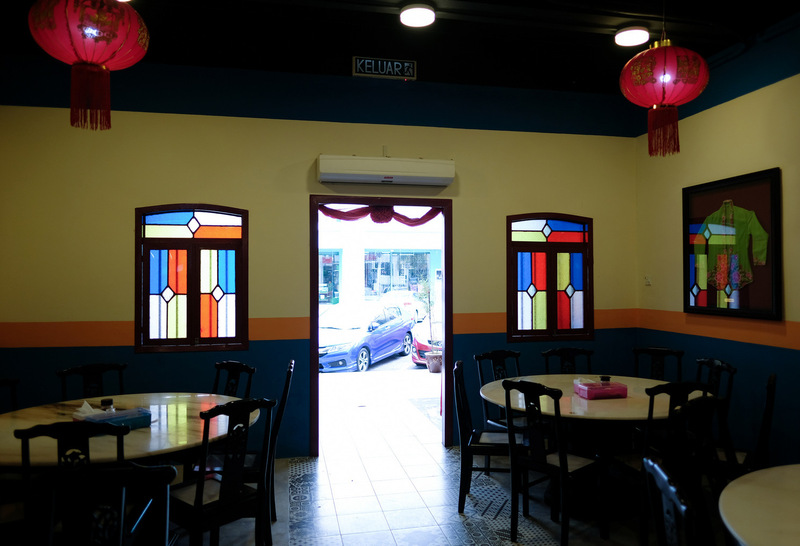 Whoa.... Nyonya cuisine, my fav. Do they hv Nyonya laksa?